Billy Nair was born in Ansonia Lane (now Lacey Road), Sydenham, Durban on 27 November 1929. He was one of five children born to Parvathy and Ittynian (Kisten) Nair, an engineer's assistant in a cargo vessel which transported sugar (SS Frontier). He attended the Essendene Road Primary school in Sydenham, Durban and Matriculated at M.L. Sultan Technicial College, Durban in 1949, having studied part-time whilst employed as a shop assistant in a hardware store (A.Baker Bros) from 1946-48, and later as a bookkeeper for an accounting firm. Nair worked for six months for a dairy, but was fired in 1950 as a result of his trade union activities. In 1951 he became the full time secretary of the Dairy Worker's Union. Nair's political awareness was fired by critical debates in his college students union and by the impact of the passive resistance campaign held from 1946-48 against the Asiatic Land Tenure and Indian Representative Act. He attended all the mass rallies held by the Natal Indian Congress (NIC) in Durban especially the rallies at Red Square (now Nicols Square) and watched groups of passive resisters march along West Street into Gale Street where they squatted in an open public area. In 1949 Nair joined the Natal Indian Youth Congress and became its secretary in 1950. He also joined the Natal Indian Congress, serving as a member of its executive. In the 1952 Defiance Campaignhe was part of the first group of resisters, led by Dr Naicker, who occupied the “Europeans only” waiting room at the Berea Station. Nair and 21 others were arrested, and he was found guilty and sentenced to 1 month in prison. As the secretary of the Dairy Worker's Union, Nair was active in the trade union movement in 1951, but his involvement increased substantially after the banning of three leading trade unionists in Natal who had served as secretaries of 16 trade unions. In 1953, following the banning and resignation of the General Secretary of the South African Tin Workers Union (SATWU), S.V.Reddy, Billy became the secretary of the Union (SATWU Collection 1937-1978). In 1953 Nair was invited to join the secretly reconstituted South African Communist party. In 1955 Nair addressed the 3000 strong Congress of the people in Kliptown. He played a leading role in the formation of the South African Congress of Trade Unions (SACTU) in March 1955 and served on its national executive committee and was also the secretary of SACTU Natal’s regional committee. On 5 December 1956 he was arrested together with 155 other Congress Alliance activists for treason and a year later he was one of the 91 accused in the infamous Treason Trial. The initial indictment was squashed. During the 1960 state of emergency, Nair went underground for two months before being arrested and detained for 3 months at Durban Central Prison. He was released in August when the emergency was lifted, but was issued with a 2 year banning order which was reissued in 1961 for a further 5 years. Nair was the deputy head of the Umkhonto we Sizwe (Spear of the Nation or MK, the armed wing of the ANC) regional command and was one of the leaders present at the congress alliance secret conference convened by Chief Albert Luthuli to discuss the formation of MK. He actively participated in its sabotage campaign from its inception on 16 December 1961 until his arrest in 1963. Nair was detained on 6 July 1963, and after spending 100 days in detention, charged with sabotage together with the head of Natal Command Curnick Ndlovu, Ebrahim Ebrahim, Natoo Barbenia, Erick Mthlali, and 14 others. He received a 20 year sentence on Robben Island which he served in the maximum security B section with Mandela, Sisulu and others. On the Island he served in a number of capacities on the ANC prison leadership committees. Billy Nair, was prisoner number 69/64 (the 69th prisoner of 1964). Whilst in prison, Nair completed a B.A. and a B.COM and most of the B.PROC degrees through the University of South Africa. He was released on 27 February 1984 and the next day he was in the United Democratic Front (UDF)office and participated in the UDF anti-election campaign of 1984. He was detained in August under section 29 of the internal Security Act, just before the elections for the House of Representatives and the House of Delegates that was held in Pietermartizburg. Upon his release Nair went into hiding. He and 5 other UDF leaders Archie Gumede, Mewa Ramgobin, Paul David, George Sewpershad and MJ Naidoo –sought refuge in the British Consulate in Durban until 12 December 1984. All those at the consulate except Nair were charged with high treason. At the beginning of August 1985 Nair was detained in terms of Section 28 of the Internal Security Act at the Brighton Beach Police station. This followed the presentation of a memorandum to foreign embassies drawing their attention to alleged atrocities committed by the state and calling countries to take action against the South African government. During his time in detention he was assaulted, but refused to make a statement. His wife brought a supreme court application restraining the police from assaulting him which resulted in two policemen being charged, found guilty and sentenced to fines. Nair was released on 9 October 1985. 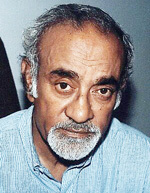 Nair was a member of the Natal regional executive committee of the United Democratic Front and also served on its national executive committee. He was vice-chairperson of the Durban Central Resident's Association formed in 1984 to resist the removal of people from the Warwick Avenue triangle and resist rent increases in and around Durban. In the 1980s he established the Centre for Community and Labour Studies, an NGO which serviced the trade union movement. On 10 June 1986, just before the second state of emergency, Nair went into hiding and remained underground until the unbanning of the African National Congress (ANC) and the South African Communist Party (SACP) in February 1990. While in hiding he met representatives from the churches and the Congress of South African Trade Unions to initiate a campaign for national unity and a campaign for protests against the state of emergency, titled 'Christmas against the emergency'. In 1989 he secretly left the country to represent the underground communist party at its conference in Havana, Cuba. Following the unbanning of the ANC, Nair was detained in Durban on 23 July 1990 under Section 29 of the Internal Security Act, following police allegations of an ANC/SACP/MK plot to seize power if negotiations with the government broke down. While in detention Nair suffered a heart attack, and had to undergo a double heart by-pass operation. While he was recuperating, Nair was charged with 9 others in the 'Vula' trial. All 10 were granted indemnity from prosecution and released. When the SACP was relaunched as a legal body on 29 July 1990, Nair was elected as a central committee member after being a member of the party's interim leadership group. He was a member of the interim leadership group of the ANC in 1990 and to the National Executive Committee in July 1991. Nair was elected a member of the National Assembly of the S.A. Parliament, being 39th on the African National Congress list of 400 Nominees. After retiring from parliament in 2004 Nair’s health deteriorated but he continued to speak at public events. He died on 23 October 2008. He is survived by his wife Elsie and a daughter who lives abroad. Billy is also survived by his siblings: Joan Oehme (Germany), Dr. Shad Nair, Angela Nair (Durban) and Jay Nair (Canada). He was awarded the Albert Luthuli in Silver national orders by the President Thabo Mbeki for his contribution to the liberation struggle. The Indian government presented him with the prestigious Pravasi Bharatiya Samman Award. An honorary Doctorate in Social Science (DSocSc) was conferred posthumously on Mr. Billy Nair for his unwavering contribution to the liberation struggle and human rights. • Public contribution by Jay Nair (Billy’s brother) sent to SAHO in October 2009.